Sevilla are currently fourth in 2019 La Liga table. With a one-point lead over Getafe they are the heavy betting favorites to claim the final Top 4 spot. 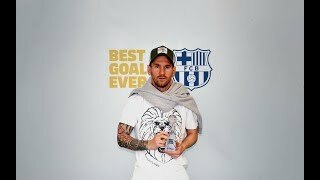 ​When a goal is voted the Greatest of All Time at any club, it is a big deal. When it is given the GOAT nod at Barcelona, it's meteoric. The best goal in Barça's history according to the fans is Lionel Messi's spectacular slaloming run against Getafe in the semifinals of the Copa del Rey 2006/07.